Composite Resin (Tooth Colored Fillings) is a dental restorative material made of acrylic resin mixed with finely ground glass like particles. The composite resin matches the color of your existing teeth, and can be used to restore a decayed tooth or repair a defect. Before– Severe decay was removed from these teeth resulting in very thin and fragile natural tooth structure remaining. After– Dr. Jack Hosner of Portage, MI bonded tooth colored fillings to these areas to restore these teeth to natural form. 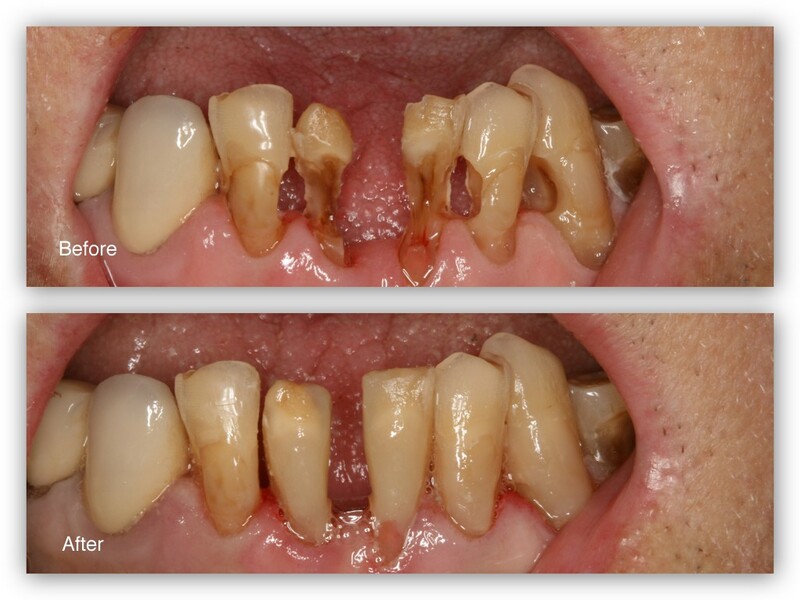 Before– This patient has severe decay on his teeth as a result of frequent sugar beverage drinking – pop. 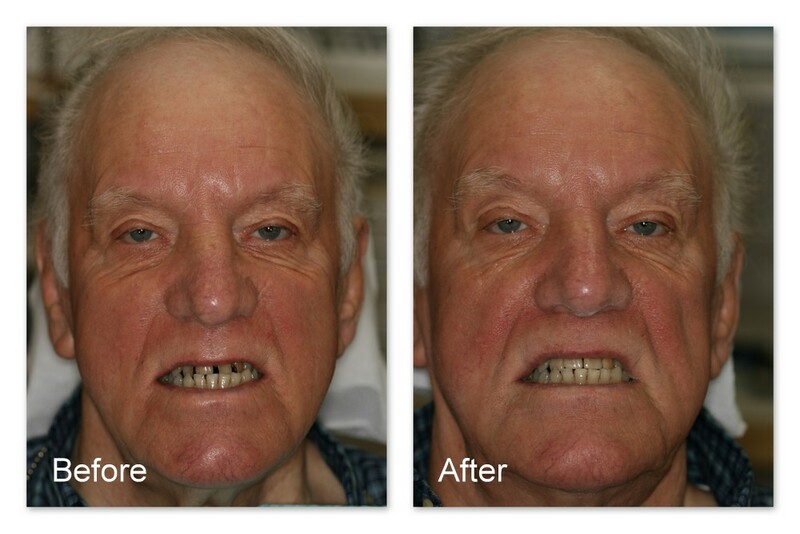 During– In this picture, you can see that Dr. Jack Hosner of Portage, MI has removed all of the decay from the four front teeth. 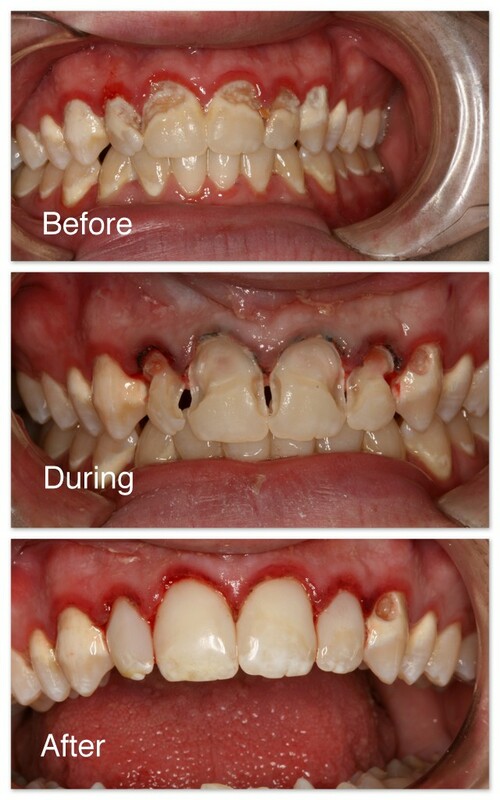 After– This is immediately after restoring these teeth with tooth colored composite resin material. Before– Staining, decay, and old fillings were present on these teeth. After– This is what they looked like immediately after Dr. Jack Hosner of Portage, MI restored them with composite tooth-colored fillings. After– Dr. Jack Hosner of Portage, MI removed all of the decay and bonded composite fillings to restore natural appearance. Before– Large cavity in back tooth. During– Decay was cleaned out. After– Composite resin was bonded to restore tooth by Dr. Jack Hosner of Portage, MI. Before– This patient of Dr. Jack Hosner’s of Portage, MI did not like the gray appearance of her old amalgam filling. After– The filling was removed and replaced with a bonded composite resin filling. Before– This patient didn’t like the dark gray appearance of this amalgam filling. 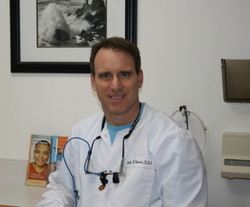 During– Dr. Jack M Hosner, DDS of Portage, MI removed the old amalgam filling and decay. 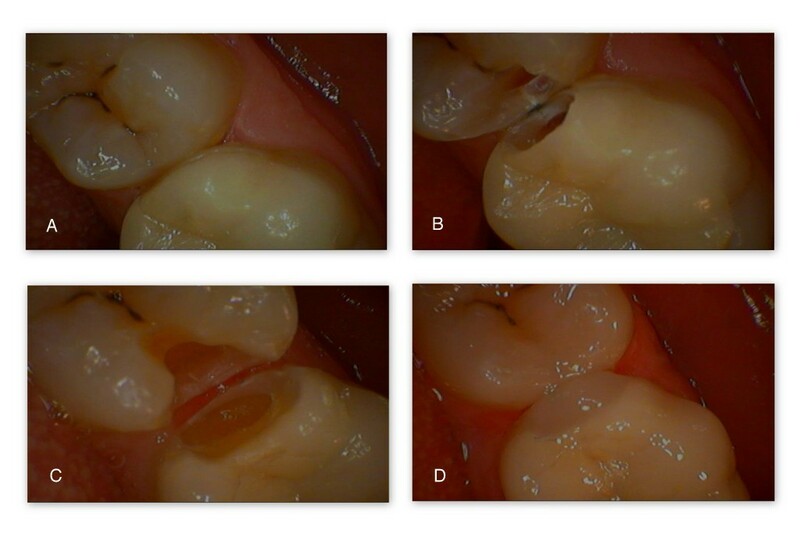 Notice how the old amalgam filling has stained the tooth darker. After– A new directly bonded composite resin filling was placed. After– Decay was cleaned up and a new tooth colored filling was bonded into the tooth by Dr. Jack M. Hosner, DDS of Portage, MI. Before– This old amalgam filling caused a lot of dark staining and crack formation on this tooth. After– Dr. Jack M. Hosner of Portage, MI removed the amalgam filling and stain and replaced it with a composite resin bonded filling. 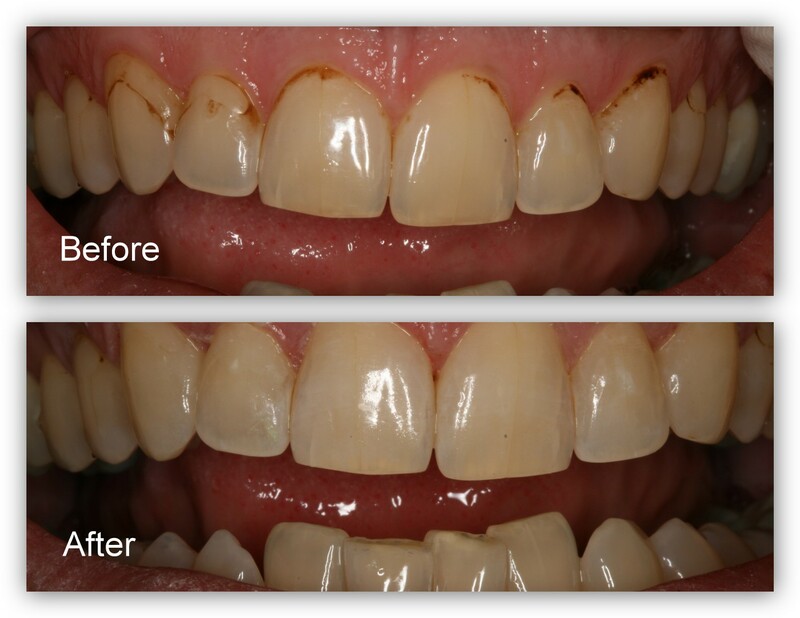 After– Decay was removed, and bonded tooth colored fillings were placed by Dr. Jack Hosner of Portage, MI to restore decayed and worn tooth structure. A– There are cavitiies on the sides of these teeth, inbetween the teeth, that you cannot see when looking at them directly. You can only see these cavities on an x-ray of the teeth. B– Now that we have cut into the teeth you can see the dark brown decay. C– This picture shows the teeth after all of the decay has been cleaned out by Dr. Jack Hosner of Portage, MI. D– The fillings have been placed.